You can earn 110 yards with this purchase! The Ping IsI-K is the oversized model of the IsI and is one of Ping''s MOST FORGIVING CLUBS EVER. These are perfect for the golfer who wants a PREMIUM SET OF IRONS at a LOW DISCOUNT PRICE. Are the Isi-k's larger and more forgiving than the zing 2's? 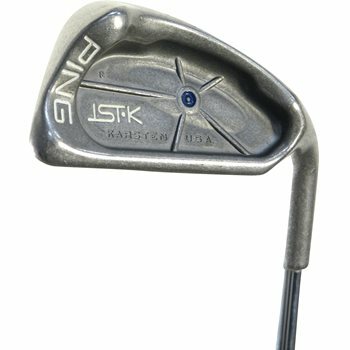 The ISI K irons do have a slightly larger profile with a longer blade length. As for forgiveness, the will be about the same. I am currently playing Cleveland Launcher irons, graphite shaft - reg. Would the Ping ISI irons, graphite or steel, add anything to my game?